Benjamin Franklin (1706-1790) was a scientist, ambassador, philosopher, statesmen, writer, businessman and celebrated free thinker and wit. Franklin is often referred to as ‘America’s Renaissance Man’ and he played a pivotal role in forging a united American identity during the American Revolution. Benjamin Franklin was born 17 January 1706, into a large and poor family. His father had 17 children by two different wives. Benjamin was brought up in the family business of candle making and his brother’s printing shop. Whenever he could, Benjamin would take the opportunity to read and learn about a wide range of subjects, from Sophocles to modern science. Whilst co-workers would take a leisurely lunch break, Benjamin Franklin would pore over books from the bookshop munching on some raisins. 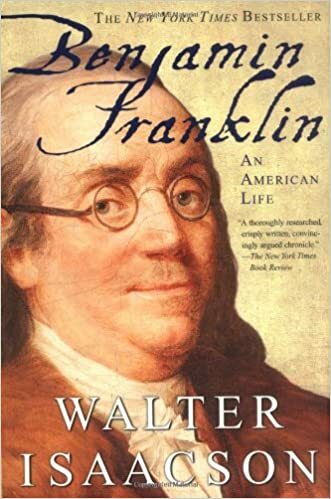 At an early age, he also started writing articles which were published in the ‘New England Courant’ under a pseudonym; Franklin wrote under pseudonyms throughout his life. After several had been published, he admitted to his father that he had written them. Rather than being pleased, his father beat him for his impudence. Therefore, aged 17, the young Benjamin left the family business and travelled to Philadelphia. In Philadelphia, Benjamin’s reputation as an acerbic man of letters grew. His writings were both humorous and satirical, and his capacity to take down powerful men came to the attention of Pennsylvania governor, William Keith. William Keith was fearful of Benjamin’s satire so offered him a job in England with all expenses paid. Benjamin took the offer, but once in England, the governor deserted Franklin, leaving him with no funds. In 1726, a Quaker Merchant, Mr Denham offered him a position in Philadelphia. Franklin accepted and sailed back to the US. Franklin sought to cultivate these virtues throughout the remainder of life. His approach to self-improvement lasted throughout his life. Back in America, Franklin had many successful endeavours in business, journalism, science and statesmanship. Franklin stove – a mechanism for distributing heat throughout a room. The famous kite and key in the thunderstorm. This proved that lightning and electricity were one and the same thing. Franklin was chosen as an ambassador to England in the dispute over taxes. For five years he held conferences with political leaders as well as continuing his scientific experiments and musical studies. Later on, Franklin played a key role in warning the British government over the dangers of taxing the American colonies. In a contest of wills, Franklin was instrumental in encouraging the British Parliament to revoke the hated Stamp Act. However, this reversal was to be short-lived. And when further taxes were issued, Franklin declared himself a supporter of the new American independence movement. In 1775, he returned to an America in conflict. He was one of the five representatives chosen to draw up the American Declaration of Independence with Thomas Jefferson as the author. Franklin was chosen to be America’s ambassador to France, where he worked hard to gain the support of the French in America’s war effort. During his time in French society, Franklin was widely admired, and his portrait was hung in many houses. 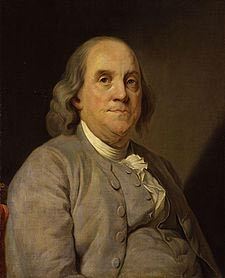 At the age of 75, the newly formed US government beseeched Franklin to be America’s representative in signing a peace treaty with Great Britain which was signed in 1783. Franklin embodied the spirit of the enlightenment and spirituality over organised religion. Franklin was a keen debater, but his style was to avoid confrontation and condemnation. He would prefer to argue topics through the asking of awkward questions, not dissimilar to the Greek philosopher Socrates. Citation: Pettinger, Tejvan. 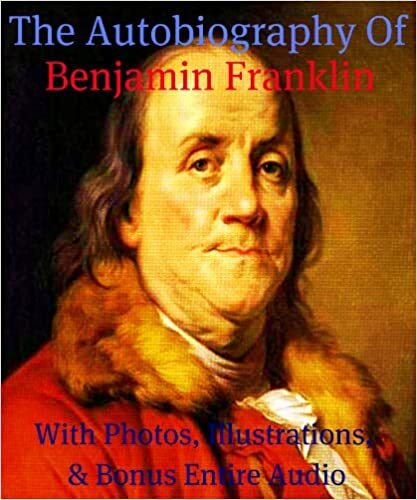 “Biography of Benjamin Franklin”, Oxford, UK. www.biographyonline.net, 5th Feb 2010. Last updated 5 March 2018.